Leaving Bali behind, we hopped on a propeller plane to the outpost of Lubuan Bajo. The fast growing grubby port town that serves as the jumping off point for Komodo National Park. We spent one night in LBJ before heading to the Wicked Diving headquarters to meet the boat that would serve as the “floating hostel,” named CB. View of one of the islands in the park as we came up from our 3rd dive on day one. Komodo National Park is a big marine park consisting of 3 main islands and hundreds of smaller ones. 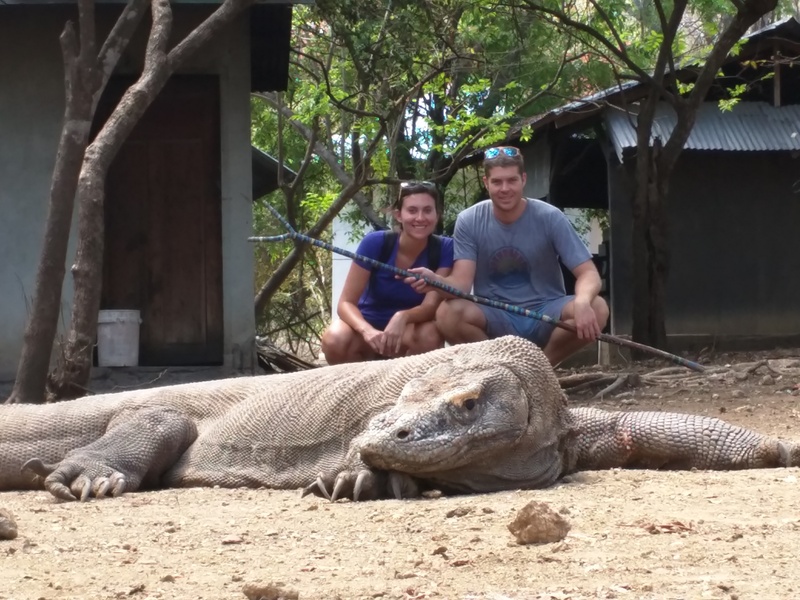 The 3 main islands are the only place in the world to see the famed Komodo Dragons. Komodo Park is as famous for its scuba, as it is for the dragons. The archipelago of Indonesia serves as a barrier between 2 of the world’s largest oceans, the Pacific and Indian. Komodo Park sits right in the middle of one of the most open parts of the island chain, meaning everyday trillions of gallons of sea water pour back and forth through the channels, carrying with it nutrients and creatures great and small. CB the floating hostel was pretty cool. The many hours of research, and we do a ton with all the traveling, had paid off again. 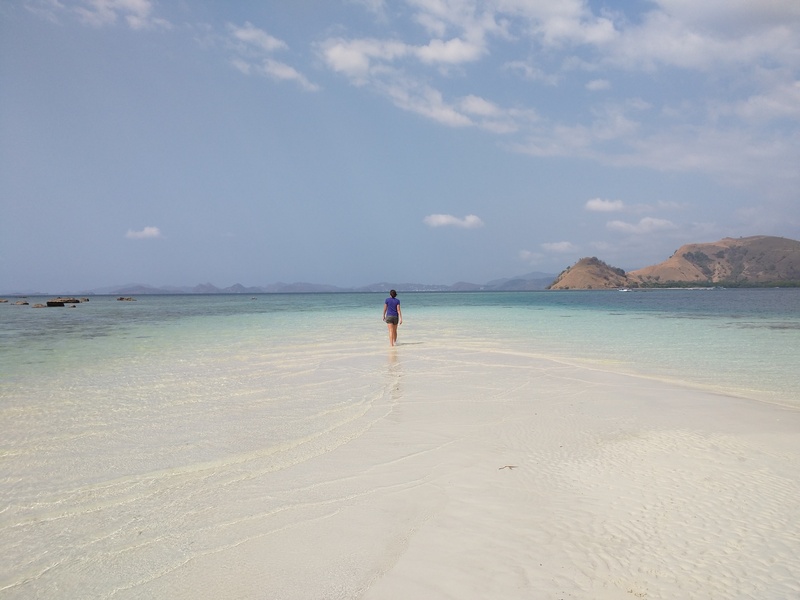 Day trips to Komodo Park only allow divers to reach the outer most dive sites, and liveaboard boats (where you stay on the boat) are usually a minimum of 5 days and way too much for our budget. Luckily Wicked Diving launched CB, the floating hostel, where a day trip boats take guests into the park to stay on the boat and visit the best dive sites from there. 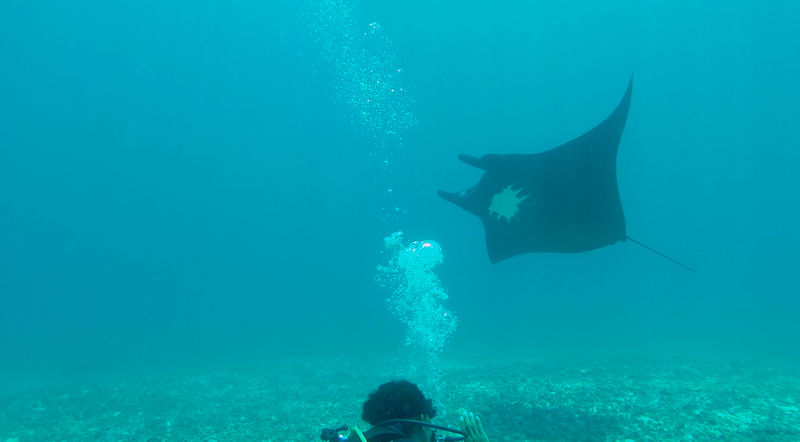 It’s impossible to describe the awe inspiring nature of the marine environment of Komodo Park. 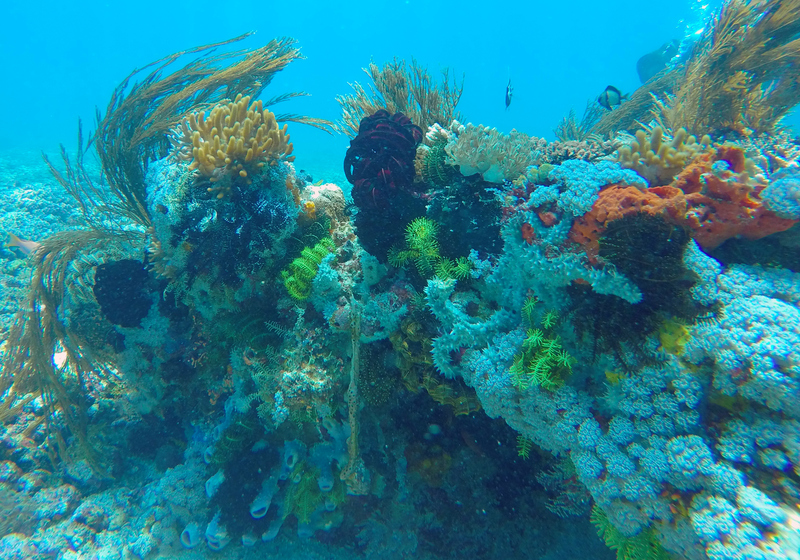 Hundreds of species of coral, glowing in in every color and shape imaginable. 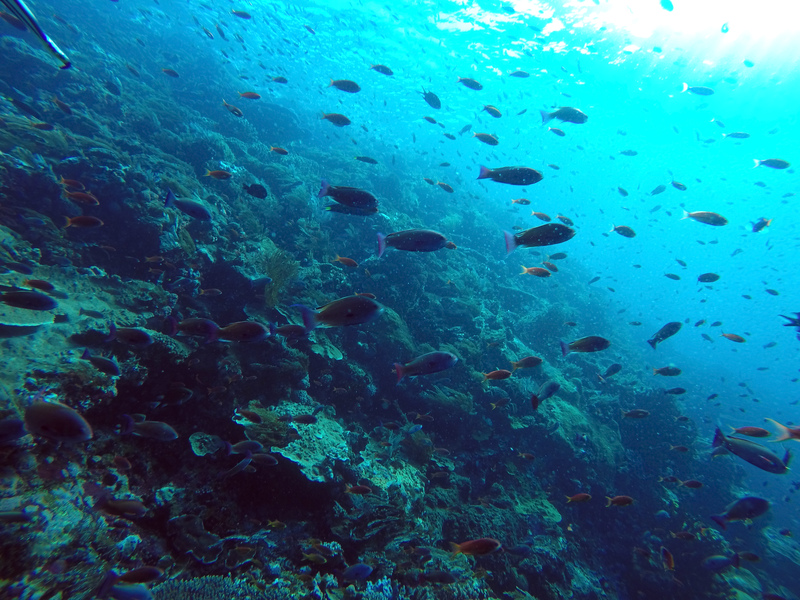 Thousands of fish, in every pattern possible fight for life darting in, out and around the corals. The only way to describe it is, unreal. If you are a diver, start planning your trip to Komodo. We only spent 1 night on CB, but that was enough time to crush 6 of the best dive sites in the world. 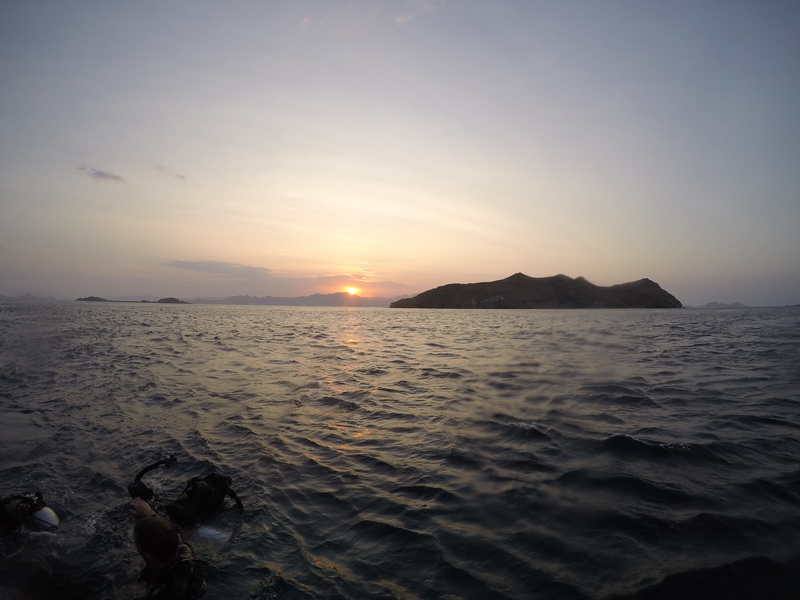 After 2 exhausting days diving, we headed back to LBJ to prepare for our last day in Indonesia and a trip to Rinca, one of the islands that is home to the famed Komodo Dragons. All of the islands where the dragons live are very strange and unique to all the others we saw in Indonesia. Only after visiting RInca did we understand why the giant lizards live only here. 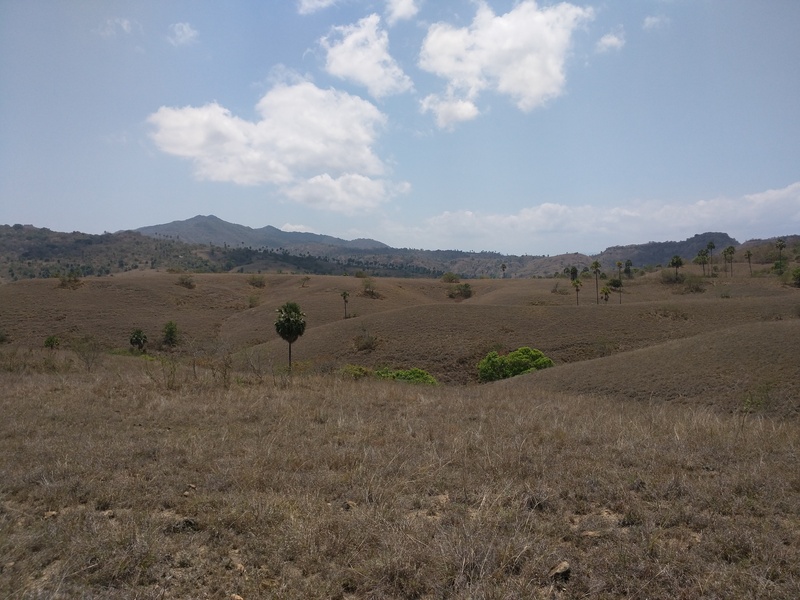 The islands are big, big enough to support large animals like Water Buffalo and Deer, but they are very dry and contain almost no trees, the landscape looks like African Savannah. With no other large predators and large game animals, the Dragons grew in size over thousands of years to be able to match their large prey. The dragons don’t kill their prey, they bite them and wait for two weeks, for the over 60 types of bacteria in their saliva to kill the animal. Then they feast. It looks fake, but this is a 6 foot wild Komodo Dragon. They are so lazy that our guide learned how to get close and frame them for photos. 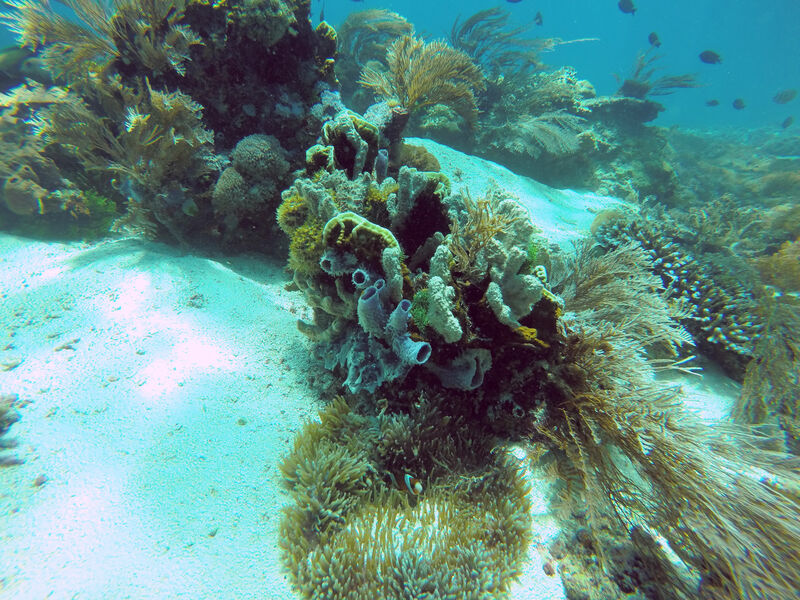 After leaving Rinca, our tour took us to a couple beaches for snorkeling. Having been wet for the last 2 days straight, we spent most the time on the boat, but did get off to visit this beautiful horn beach. The quickly rising tide swallowed this beach in 5 minutes.